Two care workers at Emeritus at Farm Pond in Framingham were arrested after they were caught abusing elderly patients. Damaris Diaz, 18, and Samuel Ayekple, 25, would abuse patients with Alzheimer’s for a laugh and would record themselves hitting the elderly. The Alzheimer’s patients could not explain to the health worker why they were getting bruises, but after they were caught it all made sense. They admitted to having “fun” with the elderly patients and do not class it as abuse. 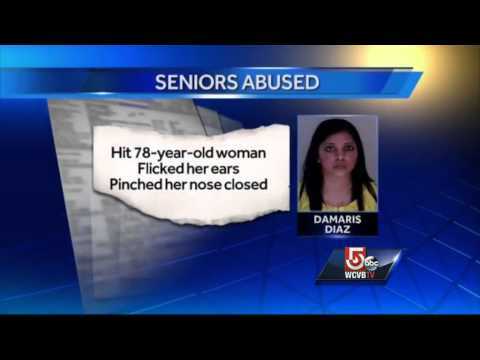 The video they recorded clearly shows them slapping the Alzheimer’s patients.